Born in Brookline, Massachusetts on August 23, 1911, John Moore “Jack” Morse had a distinguished sixty-plus year career designing many well recognized public and educational buildings in the Seattle area. Morse, who could be characterized as a structural rationalist, was devoted to clarity in architectural expression and was a strong advocate of urban design. 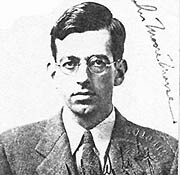 Morse was educated at the Milton Academy, a private college preparatory school, and Harvard University where he graduated with a Bachelors degree in 1934. For the next three years, he taught school in Loomis, Massachusetts. He then returned to Harvard where he received a Masters in Architecture from the Graduate School of Design in 1940. In Boston, he worked as a designer for Harvard architect and professor, Walter Bogner, and as a construction superintendent for the C. B. Ross Company, from 1941-42. In 1942, Morse came to Seattle and began working for architect George Stoddard. From 1943 to 1945, he worked in the Engineering Department at Boeing Company. For a short time, Morse worked as designer for the architectural firm of Chiarelli & Kirk and then he opened his own firm. In January of 1947, Morse began a successful partnership with fellow Harvard graduate, Fred Bassetti. As a partner in the firm of Bassetti & Morse until 1962, the firm received numerous state and national awards. The practice was devoted largely to residential designs from individual custom houses to larger developments and public housing projects. Among their more notable residential projects are the G. J. Armbruster House in Lake Stevens (Seattle Chapter AIA Honor Award), the Gamma Rho Apartments (1952 National AIA Honor Award), the Gerald Martin House (1954 National AIA Honor Award), Bellevue’s Norwood Village (1951), the Marshall Forrest Residence in Bellingham, and the Walter F. Isaacs House in Bellevue’s Hilltop community (both recipients of National Merit Awards in 1953). The firm's work expanded beyond the residential market in the 1960s. Their public, commercial, and civic projects include the Lakeview Elementary School (1954) and the Mercer Island High School (1958) in Mercer Island, the East Shore Unitarian Church in Bellevue (1957), the Bouillion Building (1961) and Library (1961) at Central Washington University, housing for the military, the administrative and hangar buildings for the King County Airport, and entrance gates for Seattle's Century 21 Fair. Bassetti & Morse ended the partnership under amicable conditions in April 1962. The practice divided into two firms, and Morse kept an office until shortly before his death in July of 2000. Morse was an active participant in the AIA, having joined the organization in 1947. He was elected president of the State Chapter in 1953, and made an AIA Fellow (FAIA) in 1968, joining only fifteen other architects so recognized in Seattle. During his career, John Morse became an articulate proponent of urban design and civic initiatives in urban planning. He was appointed to the Greater Seattle Housing Council in 1958; was a member of the King County Planning Commission 1962-67; a juror for the 1968 National AIA Awards; and a member of the Seattle Urban Design Advisory Board. In 1969, he worked with the architectural firm of Kirk, Wallace & McKinley on the Pike Place Market Urban Renewal project. Morse was awarded a Seattle Chapter AIA Medal in 1966 for the design of the Lake City Library (1965). Other noteworthy projects of his included the Lake Hills and Bothell (1969) Libraries for King County, the swimming pool and gym at Garfield High School, Kincaid Hall (1971) and School of Social Work at the University of Washington, the Federal Way Clinic for Group Health, the Glacier Bay Lodge (1966) for the National Park Service, and a number of private residences in Bellevue's Hilltop community. Morse passed away on Juy 26, 2000.